There's no denying how beneficial telemedicine can be for vulnerable patients who don't have the ability to visit a physician or specialist in person during a time of need. It's even more critical during flu season, or at any given time an illness breaks out. With telehealth solutions, sick patients can receive the quality care they need from afar, ensuring improved patient outcomes and overall satisfaction. But patients are not the only people benefiting from this trending technology. Healthcare providers and whole hospitals and facilities are also feeling the impact in a positive way. Whether it's flu season or your patient is dealing with a minor - yet contagious - illness, inviting them into your office will only increase the chances of spreading the sickness. Telehealth solutions can take this away altogether. Giving your patient the opportunity to stay within a short distance of his or her home reducing their exposure to illness or to other vulnerable individuals in your facility. Plus, you're encouraging your patient to stay close to home and rest, which means you're ultimately contributing to a quick and healthy recovery. Sick patients who seek a specialist during a time of need may find it difficult to receive quality care from a rural setting. Likewise, you may find it hard to build a book of patients (or retain current patients) when the ones who need your specialized care can't always make it to see you in the first place. With telemedicine, you can partner with rural facilities to offer your specialty services and broadcast your specialization to reach patients who are not always able to meet with you in person. This gives you the opportunity to provide care to individuals across the country seeking your specific specialty. Communicating with your patients during their time of need is essential to their road to recovery. Those who don't have immediate access to transportation may not make it to your facility in a timely manner, thus keeping them from recovering in at an efficient pace. With telemedicine, however, patients can receive one-on-one care from you - or another provider - for things like: simple acute conditions, follow up appointments, or chronic disease management. The stress of worrying how they can get to an appointment, or when they will have time to schedule it in the first place, can simply vanish when telemedicine is an option. From your perspective, this can put you at ease when it comes to providing the best quality outcome for those in need. Telemedicine can improve patient/provider communication. Telemedicine has the ability to reduce the amount of unnecessary appointments made in your facility, especially when a patient is unsure if he or she is even ill. Because you'll spend less time in the office waiting and seeing patients, you may notice an improved work/life balance over time. Plus, since you can virtually check in with patients from just about anywhere, you can take calls from home or finally pursue the vacation you've been putting off for years. Whether you're concerned about your own well-being in your facility or that of your clinical staff, telemedicine can help produce the most effective and efficient encounters between you and your patients. This, in turn, enhances clinical workflows, according to David Thompson, MD. "Advanced telehealth technologies can also drive improvements in clinical workflow," Thompson wrote for Health IT Outcomes. 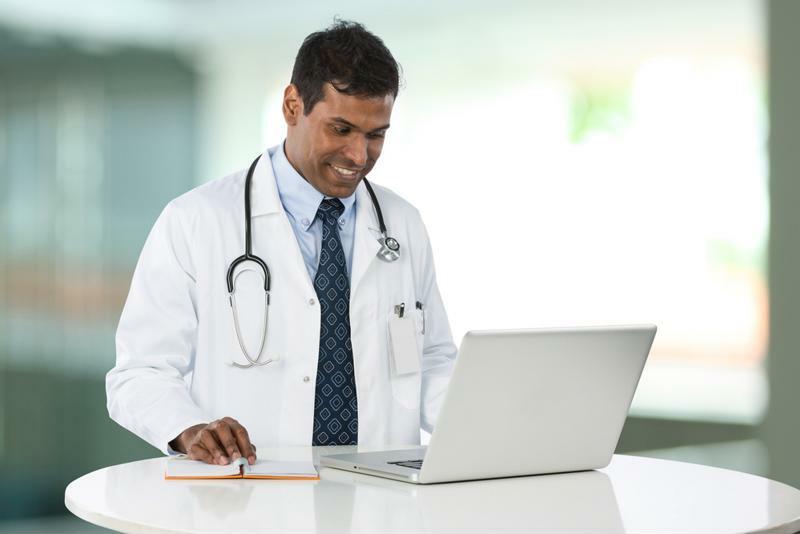 "For example, telehealth platforms can help your staff capture each patient's reason for the call or visit quickly, prioritize care delivery, suggest the best treatment guidelines, and identify additional information resources." Healthcare will continue to transform throughout 2019 and beyond. As patients begin to rely more heavily on technology for communicating with healthcare providers, it's important to give them a convenient option for care when they need it most. Innovative care delivery methods through telehealth technologies can put your facility ahead of the curve when your patients are ill.
For more information on how technology and telehealth solutions can transform your facility, contact AMD Global Telemedicine directly today.